This special discounted priced October issue of Star Nations Magazine is a thank you to our readers for all your support during 2017. This annual special issue is to show our gratitude. Star Nations Magazine is a monthly magazine brimming with insight from contributing writers who share their experiences and wisdom. Star Nations Magazine covers many fascinating spiritual topics. 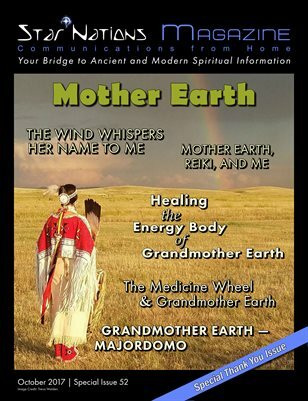 We bring together spiritual information about Indigenous people, specifically Native American, here on Turtle Island and other indigenous people aboard. We also bring information about Angels, Feng Shui, Spiritual Parenting, and being consciously awake to your spiritual path in life.